Jan Roscoe Publications brings together an unbeatable range of PE teaching, learning and assessment resources, drawn from a wide range of publishers, giving you the opportunity to view comparable resources and so make the right choice for you and your students. 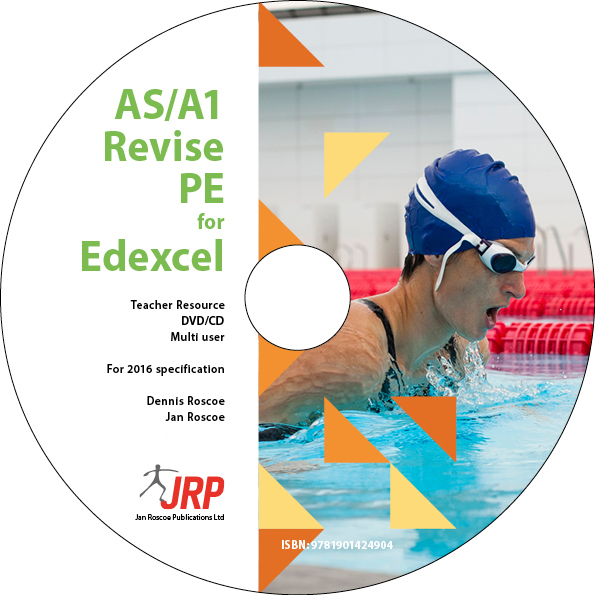 JRP supplies curriculum resources (books, videos, CD-ROMs, DVDs, Wallcharts) for the Sport and PE curriculum in schools and colleges. We specialise in AS/A2 level and also provide materials for Primary/GCSE/BTEC and Higher Education in these subjects. "We look forward to working with you and trust that our service will be reliable and helpful in respect of your work with examinations in Physical Education and Sport Studies. We hope you have a highly successful year!" Jan Roscoe is an Olympian. She was part of the British Olympic Athletics Team (400m and 4x400m relay) in the 1972 (Munich) and 1976 (Montréal) Olympic Games. Jan has also competed in two Commonwealth Games, and in 1974 gained a Commonwealth hurdles record. She set personal bests in most of the major games in which she competed, and not surprisingly, this attitude permeates the whole of JRP’s business approach. Jan’s husband, is a former international discus thrower (1965 to 1980) and nuclear scientist, having worked at CERN near Geneva before the Large Hadron Collider era. Dennis has a major role in the business, in charge of the day-to-day management of the administration, IT/IS systems and general sales. Full time office manager – Secretarial, sales, warehouse and purchasing ledger. "JRP has made a massive difference, their service is second to none. We send a quote and always get a speedy response, and JRP has managed to beat at least 98% of the supplier’s prices. Our goods are always delivered quickly, and their service is excellent. If I need any information about a particular book, I know that I can email JRP and they will do their utmost to help me. We could not ask for a better supplier. I would and do recommend them to all." "I know when I order from Jan Roscoe we will always have very competitive prices, fast delivery, spot-on paperwork and a smooth transaction every time – even returns are no hassle. Jan’s experience with writing, publishing and working closely with the education sector has given her an understanding with what schools actually need."